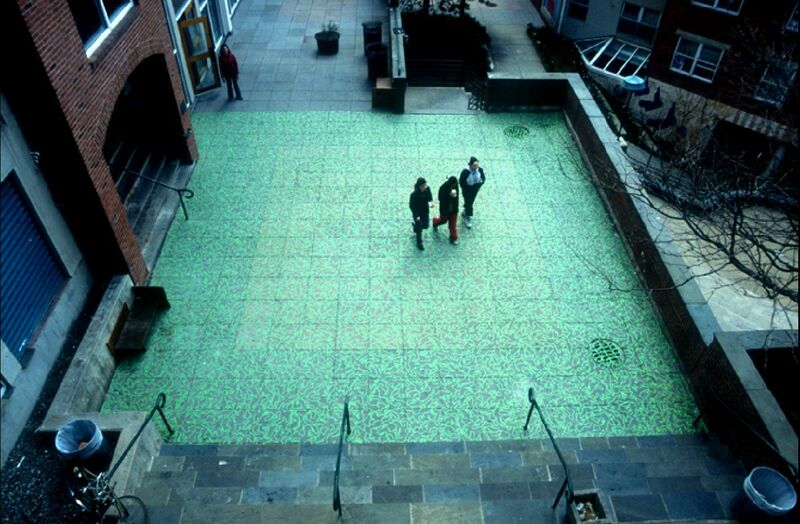 An act of meditation with the goal of making this square a specific shade of green. 1700 squirrels were the perfect pattern to make that shade happen. This is actually the second attempt at finishing this mural. The first (made a year prior) was destroyed by the combination of rain storm and foot traffic. Two weeks to make, up for five minutes, and disappeared (see video of removal below).